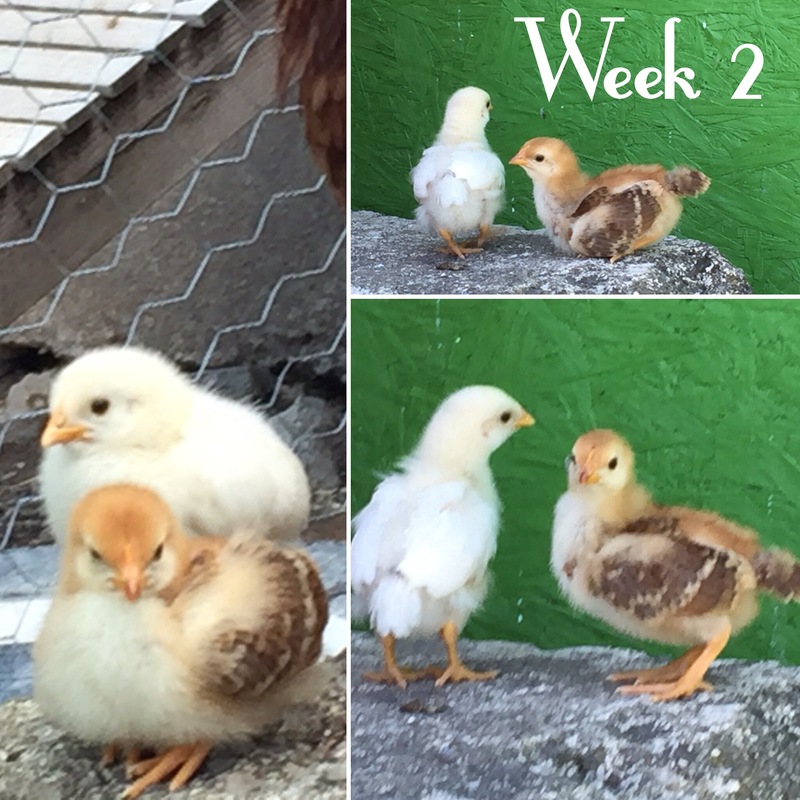 Well, it’s Week 2 with Claire’s Wee Ones, and I thought, since her babies are technically the 5 round of babies I’ve raised here on the farm, I’d do some comparing. So here’s EVERYONE at the age of Two Weeks. Dani and Eugenie’s momma is an RiR. Their papa is one of the Comets. Pip, Week 2. Pip is Dani & Eugenie’s older half-brother. The ‘Mystery Bin Girls’ – no relation to Claire’s wee ones, but we think they are some kind of sexlink as well. So… potentially same breed as papa? Or simialr breeding? The Australorps. No relation, but cute as heck! I’m looking for similarities. Dani looks an aweful lot like the RiRs at this age. Eugenie is more white like the Comet boys (despite the fact that Eugenie has a smaller, almost non-existent comb and that screams “hen”). Neither of them looks much like Pip, despite sharing a father and their mothers all being RiR. There is, I suppose, a slight possibility that Pip might actually be the papa to one or both of them. that would make whichever one 3/4 RiR (Dani?) … BUT… Pip has (I’ve mentioned before) had a tough time mating with the hens because they all have found him incredibly annoying. I know of three hens he’s successfully mated with. The rest, he either got beaten and chased by the hen in question or Dots chased him away. I don’t really think Pip is the papa. But that’s a story for another day. Personally, I think it’s freaky that Eugenie is so white. There is no color in those feathers at all! Everything I’ve read about sexlink second gen is that they aren’t supposed to be that white. I should have given Abby every egg we had when she went broody last winter, so I could see in multiple chicks how Dots’ genetics played out with different hens. He was the only rooster then and now its too late. I have him, Pip and 5 other juvenile roosters. It’ll be interesting to see how they both turn out! Too bad thinking ahead of time never seems to work out. You’ll have to try next time to have a controlled experiment!